Okay! 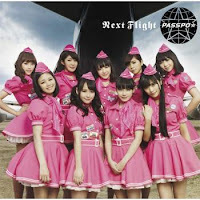 Musume Time: PASSPO☆ are Flying Higher in their 'Next Flight' PV! PASSPO☆ are Flying Higher in their 'Next Flight' PV! All thoughts and opinions regarding the PV, song and group are my own, and solely my own, unless otherwise stated. This blog is filled with my opinions, and if you don't like my opinions, then simlpy move along and find a blog which suits your tastes. If you like my opinions... sit down, relax, have a cup of tea and a biccie, kick back and enjoy. It's been a while, PASSPO☆. 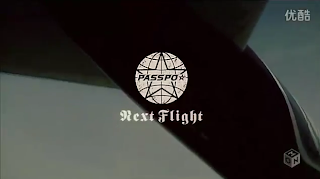 So, continuing with my Summer-PV Bonanza, we're going to head into darker territory with PASSPO☆'s latest, Next Flight. Last year, the group brought out their first summer PV, including bikini's, but this year they are taking a brand new approach - and how welcoming it is! Now I've been on the fence with PASSPO☆ as of late, especially with their last single, which was an absolute piece of boring sh** in my opinion, so I wasn't really expecting a lot from this PV. I didn't get excited, I didn't anticipate it, but I knew that I wanted to watch it to see how they would approach their latest single, considering the last one was the most dull thing ever created. Let's just say that I had a bit more hope for this single, especially after seeing the costumes for the first time. And, thank the Holy Lordeh Gaki, PASSPO☆ have brought another wonderful PV! Yay for learning from mistakes! Actually, the PV's pretty basic all the way through - so it has a much simpler concept than what Kimi wa Boku Fail does, but funny thing... PASSPO☆ make this work better, mostly because of how edgy and fierce it is in comparison to their previous PV's. The video may be simple, but the execution of the PV is very well done, and it works well for PASSPO☆. 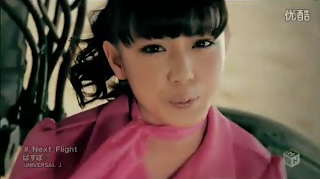 The PV layout is basically what you see here: Flat landscape, a plane in the background, a band (woohoo!) and the girls themselves, bringing colour and life into the PV. With all of these elements put together, you get a wind-blown, dust-cloud, epic filled PV which is both entertaining and cool. I was so surprised that PASSPO☆ had only used the one location, but also pleasantly surprised that they had created a good PV with just themselves and the background (and the band). This PV was also a nice change from the fluffyness that we usually get in most Idol PV's, because seriously, these girls rocked this video. This PV certainly showed off the womanly charm that is PASSPO☆, and not just how cute and fluffy we think they are. But, not only do we get to see the womanly charm of the group, but also the fierce and dark side to these girls. This song is quite heavy, so it needs quite a lot of fierce moves and fierce looks in it, and the girls really pulled that off - they looked and felt like they were angry, wrathful and edgy. Their dance moves were sharp and fit the music, and I really enjoyed the mood the video gave off. It was extremely exciting seeing PASSPO☆ like this, and it made me want to watch them more and more, because how they looked and presented themselves was addicting. The choreography was enjoyable, the costumes brought a great amount of contrast to the scene, and I thought that the outside scene was great - the dust clouds and the wind blowing against the girls created a great effect and made the video feel more like a war zone than anything, making the video really cool and different. I liked that the girls had to dance against the wind and dust. Heck, you can see the effect the wind and dust has in these pictures! It's pretty epic in my opinion. Bow down to me, you worthless minions! Even PASSPO☆ themselves are bowing down to this PV, it's that awesome! The song is, as I said previously, quite heavy. I think it's rock, but honestly I can't distinguish Metal or rock from each other, so forgive me for now. Whilst I am not a keen fan of heavier music, I do like PASSPO☆'s style because it's that bit softer and more poppy, but when the instrumental started when I listened to this song for the first time, I was pretty sure that I wouldn't like it at all, but I ended up liking it quite a lot. It's heavy, yes, but it has that very recognisable PASSPO☆ sound to it which I adore. The darker tone to the song is also really appealing for me, because it's something that I haven't really heard from PASSPO☆ yet. I love how the girls all sound - energetic and fierce, like they're fighting for something. Now, I honestly have no idea what the song is actually about, but I'm supposing that it's about hope of some sort, considering they may be singing about their 'Next Flight' and how they will fly - if it's about love, I shall roll my eyes and shake my head in disappointment. But the song is really enjoyable - it's wonderful to listen to, and it's different from all the other Summer PV's that have come out. It's darker, exciting, and it's somewhat anticipating. The PV may have a simple concept, but by God, it's a beautiful concept too. PASSPO☆ are amazing - their performance was absolutely beautiful, it kept me wanting more and I enjoyed how much more grown up the PV felt and how much darker it was and how fierce the girls looked. The overall performance of the PV was wonderful - I enjoyed it from beginning to end, I thought that the shots were done beautifully, and I felt that the girls really gave it their all. It's a wonderful PV with many different shots, but one location. 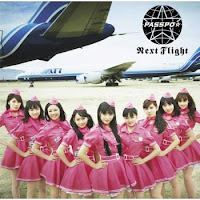 Let's just say that my faith in PASSPO☆ has now been restored thanks to Next Flight, and also, I'm so glad that they steered away from the stereotypical Idol-bikini PV this time around, because this cool and edgy PV is the sort of thing that I like to see (and take notice of) in the stream of bikini-clad, sweet-sounding Idol PV's and songs. Go on, check it out - I dare ya. Oooo a new group to write about, thanks! This song is surprisingly awesome it's like Pan Am meets hard rock! I like it! Wow, I wasn't expecting this to rock so hard! It's like downing a case of energy drink right before going into the Avatar state and laying down some giga-pwnage. Wooh! YEAH! !